Why and where should you use Voice Alarm (VA or VA/PA)? 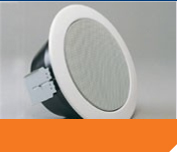 Voice Alarm systems are recommended by BS5588 for use in multi story buildings over four floors and in all public buildings due to it not being possible to carry out fire and evacuation drills to the public. 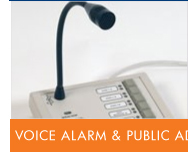 In these instances especially, a Voice Alarm System can save valuable time in evacuating a building in a safe and orderly way. Following the detection of a fire a pre determined automated messages relevant to location of the fire is broadcast to control the flow of people in stair wells and corridors allowing an orderly evacuation without panic. These messages are supplemented by spoken messages from fire control personnel, security or the fire brigade confirming the validity and need to leave the building. This positive confirmation speeds evacuation and avoids the "false alarm" mentality reducing the risk of death from fire. 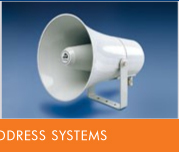 By careful consideration during the design process the use of phased messages in large and multi-story buildings reduces over-crowding in stairwells and at exits, preventing secondary injuries due to panic and crushing. For example, in a phased evacuation, the floor where the fire is present would receive an evacuate message but the floor above & below would receive an alert message, preparing them for evacuation and keeping them informed as to when to evacuate and what is the safest route. In a more complex scenario the use of multiple alert and evacuate messages can be beneficial, messages telling the evacuees they are going the right way, and messages asking people to make way for people leaving evacuated areas. These additional messages can dramatically speed up the evacuation especially in areas such as shopping centres and airport environments. BS EN 5839 Part 1. 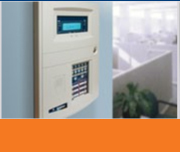 (Design, Installation, Commissioning and Maintenance of Fire Detection and Alarm Systems).